Note : I am reposting this to join the various actions being done today by individuals/groups in social media and in train stations, against the MRT/LRT fare hike. I am also posting several links that will help you to examine this very important issue and encourage you to take a stand. Our family loves trains. Train schedules play an important part in our short family trips around the city. If we really need to bring our son with us on a Wednesday ( Baclaran Day) or Friday ( Quiapo Day) schedule, we usually avoid the train rush hours. During family dates, we make it a point to catch the train’s last trip to avoid riding in super fast buses along EDSA or jeepneys in Avenida. Rio’s definitely a train-lover. He adores trains so much, he sees and makes choo choo (In Rio talk, train equals choo choo.) from anything. He lines up coins, wooden blocks, toy cars and shouts, “Nanay, choo,choo!” when he's done. 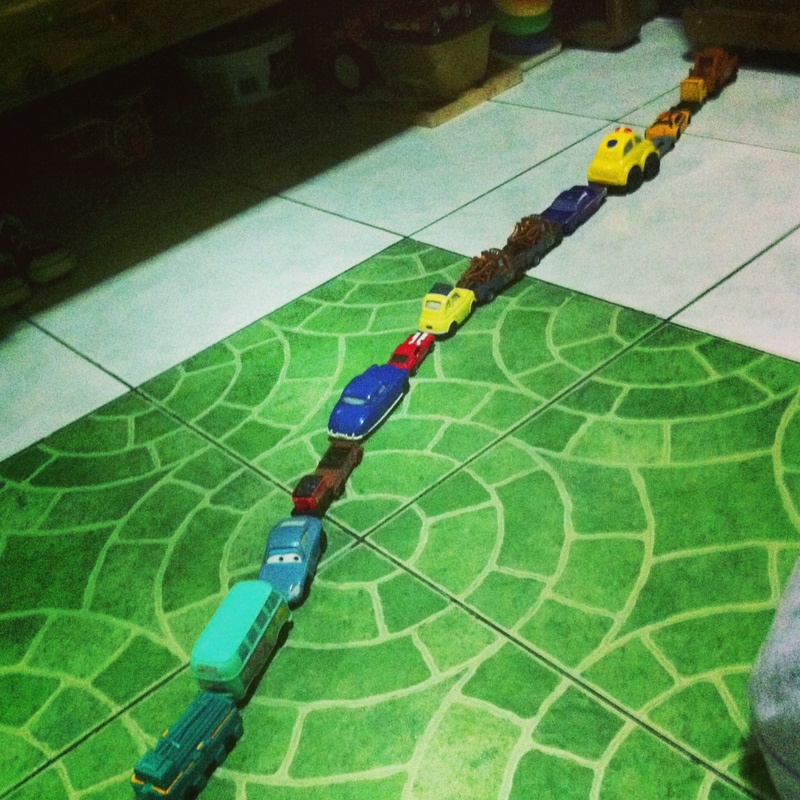 Our son’s choo-choo stage coincides with one of today’s hottest issues: the looming LRT/MRT fare hike. A P5.00 increase for this year (latest reports say it may be up by P7!) followed by another P5.00 next year was just reconfirmed by the Light Rail Transit Authority board. 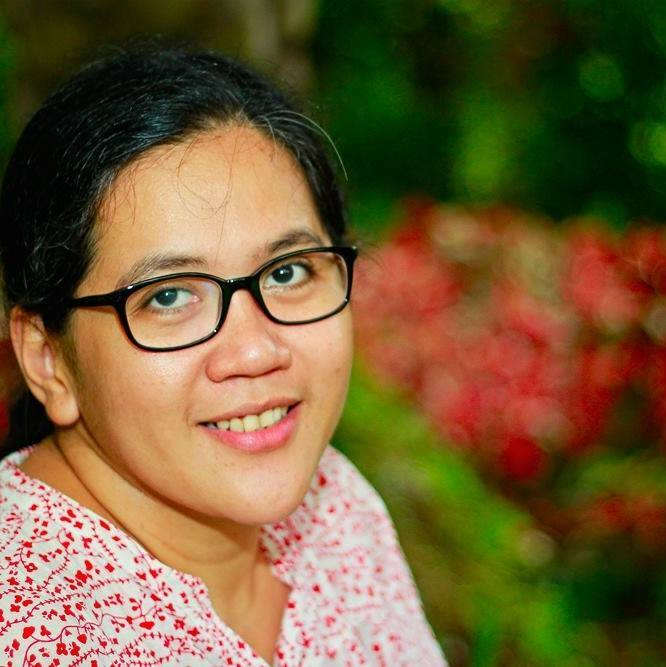 With the “choo-choo” fever spreading in our family, I can’t help but share some of my nanay insights on the plan to raise the rates of our most loved train lines. 1) Nanay’s budget tips may be useful to the government in dealing with LRT fare hikes. Government asserts that it allots too much subsidy to LRT funds. PNoy in his last SONA stressed that raising train fares can lessen the subsidy it provides and rechannel these funds to other social services. From a nanay’s “how to budget” perspective, it’s like saying “Anak, maglakad ka na lang para dagdag budget mo sa snacks.” As much as possible, we avoid pulling out funds for basic needs like food and transportation. A mother's most feasible solution to lessen family expenses is to prioritize. This means, temporarily saying no to luxuries like new clothes, unnecessary family eat-outs, shopping trips or even rescheduling a family vacation. 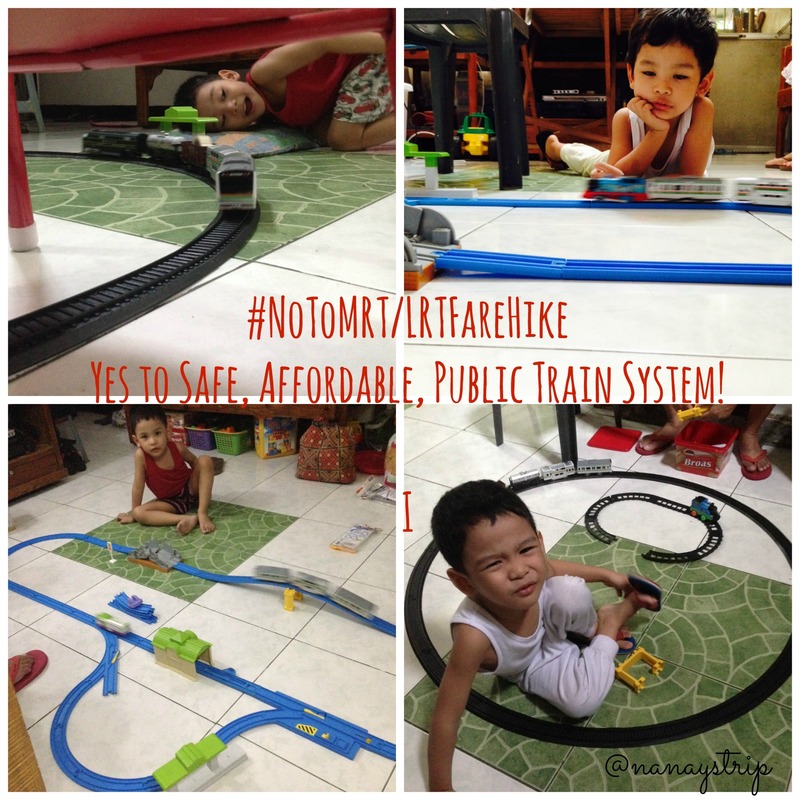 2) LRT fare hikes will definitely be an additional burden to all the Nanays and Tatays who ride the train to work. A study by the Mega Manila Public Transport in 2007 says that 68% of train commuters earn less than P10,000 a month. A P7.00 increase this year would mean an additional P364.00 in their monthly expenses or P4,368 in a year. A well-deserved family vacation in the province during one of the long weekends may be cancelled because of this added burden. Families will also face rising prices of food, utilities such as electricity and water without any increase in minimum wages. 3) We love trains that we demand for trains all over the country! We want our son to explore our country and the most fun and hopefully most affordable way to do this is through train rides. We plan to try the Bicol trip offered by the Philippine National Railways very soon. So instead of those divisive remarks, we ask PNoy to build more trains in the country for everyone ( Luzon, Visayas and Mindanao folks) to enjoy. In a few days, Rio will finally get his first toy train from her Ninang O. I hope Rio will not only enjoy toy trains but an improved, affordable and expanded public train system that will take him to all the wonderful places of our country! Here are some links to help you understand why we should stop the MRT/LRT fare hike. 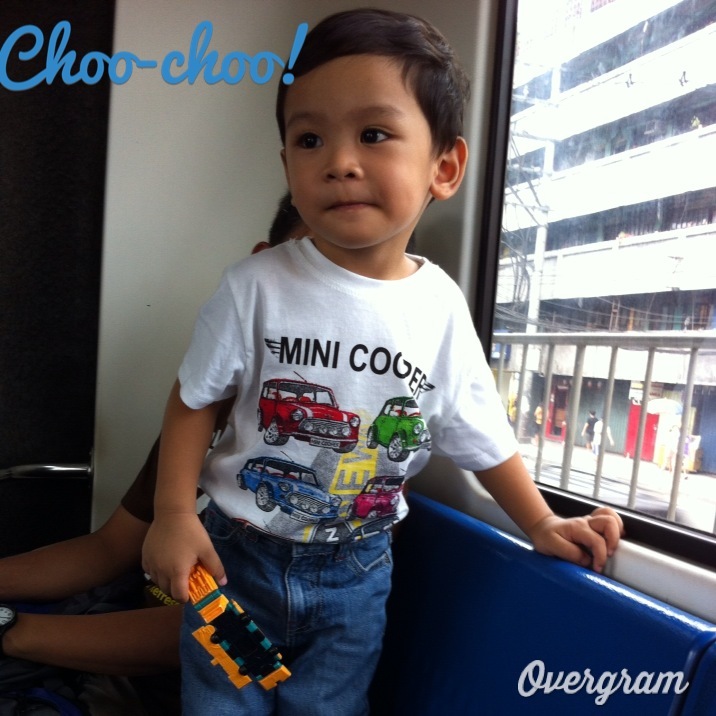 Nanays, are your toddler in love with trains too? What are your thoughts on the LRT/MRT fare hike ? Come aboard and share your thoughts! Choo! Choo! Awesome blog, Nadia. Sometimes, it really just boils down to common sense. Why burden us with unnecessary load? I really don't understand why they think they CAN increase the fare when their services remain SUPER CRAPPY! I stopped using the train with my child when it started to break mid-service. Can I include No Toll Fee hike. Seriously, even the increase is just minimal if you sum it up, it is still a big burden, When I move to South our toll fee is only P74 and after few years they increase it to P158 one way only and now they are planning to increase pa. Hay..
First, my toddler is completely in love with trucks and trains, too! Now, about the fare hike, I admit that I'm still conflicted about it. Being Filipino, I understand the need for low fares. But being from Mindanao, I can't help but think that we shouldn't be shouldering the expense, too. There are talks of an LRT in the future here in Davao but I'm not sure about its dynamics. I hope there will be a win-win solution for the benefit of the underprivileged. An increase is okay, if service is good! It saddened me to see how far our Asian neighbors have gone in terms of services and infrastructure. Tayo 3rd world pa din! 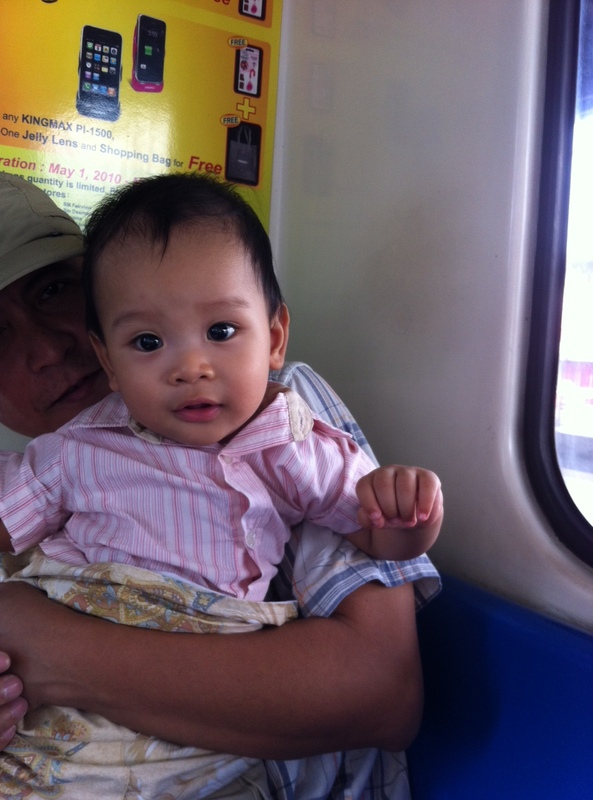 I used to ride the MRT-LRT when I was in college since it was the easiest mode of transportation for me. When my dad finally allowed me to bring a car, I stopped riding the train since it's really hassle and there are tons of people I have to battle with everyday for a nice spot. I think this fare hike was talked about for the longest time since matagal na nga napako sa P15 yung rate. For me, I still think it is important to consider the masses since tayo naman talaga ang affected. If they can gradually impose the fare hike and hindi naman buong P10 agad, that would be better. Naku dapat the government should subsidized MRT/LRT. Kawawa naman tayong tax payers dagdag pahirap pa yan. I guess, both sides have their own points. Was just hoping that they should have just improved first the system before they increased the fare. My son doesn't have a train set yet but I think he would like it. As for the MRT, this used to be my preferred ride but when the delays and unsafety started happening I stopped taking MRTs and went for buses instead. Hopefully the system and service improves but I wonder when that will be! i also prefer to ride the MRT whenever I go to the city because it is convenient, fast + affordable that is why this increase in train fare is really quite a bad news. some are saying this hike is unconstitutional so let us see what the train management will do about this.